The market is enriched with our captivating collection of Semi Precious Stone Tiles. We use supreme quality natural stones to make these tiles more durable. This assortment enhances the aesthetics appeal any corner where they are placed. These are designed and devolved cater to the varied requirement as floor tile and borders, wall tile and decoration of our clients. Our designers shape them in traditional and cultural patterns and give them refined look. 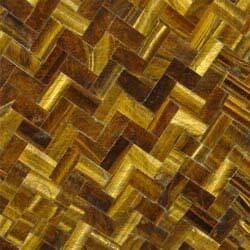 As it can make any decor more beautiful with its artistic designs and it is in great demand in the market. 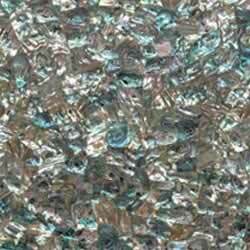 This elegant and artistic Abalone Sea Shell Tile is made from a variety of striking colors, creating a captivating scene to your places. Match these stone tiles with any of your interiors for perfect luxury. The shimmering effect of this stone tile gives a mesmerizing look to any space. Simple and elegant, this beautiful Abalone Green Tile is designed with different shades of green color. 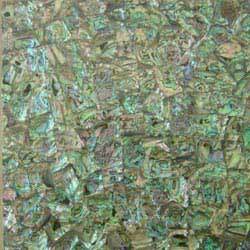 The beauty of this abalone green tiles features fine marble in natural tones of green, and will add remarkable elegance to an architectural project. 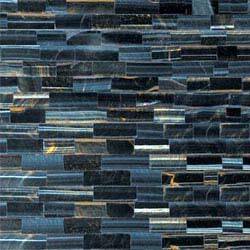 The beauty of the Blue Tiger Eye Tile is admired and enjoyed for its graceful simplicity. Finely sculpted with perfect brink pattern, this tile shows off the natural beauty of the marble with perfectly subtle shades of blue. These tiles gives your home a feeling of majestic beauty. A breathtaking Golden Tiger Eye Tile, featuring the highest quality artwork is coupled with criss-cross patterns. This gorgeous design portrays a beautiful pattern with the combination of various shades of brown. The collection of these tiles is ideal for adding charm to your spaces. 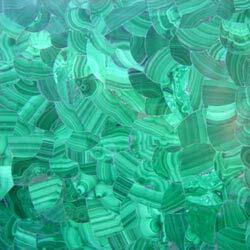 Incredibly designed Malachite Tile will make your house stand separately, with their amazingly detailed depiction of gorgeous tiles. Different shades of green along with free hand patterns make these tiles look captivating and also leavings a lasting impression on the visitors. 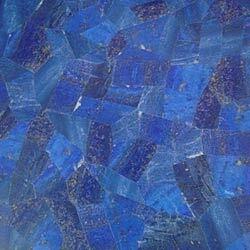 Artistic beauty shines within these Lapis Tile. Delicately designed with blue color patterns and detailed in this fine marble will present you with the treasure of a lifetime. Rectangular shaped and intricately designed, these laips tiles bring this charm to your surroundings.